Some time ago, we’ve conducted an in-house research according to which, 68% of Cart2Cart migrations were performed to open source platforms. Over the course of last year that number has slightly dropped - now it’s 61%. The dominance of open source solutions seems counterintuitive, since people generally hate complexity, but the fact remains that open source carts are ahead of hosted ones, taking comfortable market position. At least for now. So, what makes them great, which self-hosted platforms are in the lead, and should they be afraid of the sneaky competitors - SaaS solutions and eCommerce plugins? Today we’ll try to answer these and other e-Commerce related questions. Dig in! Firstly - who’s the king? 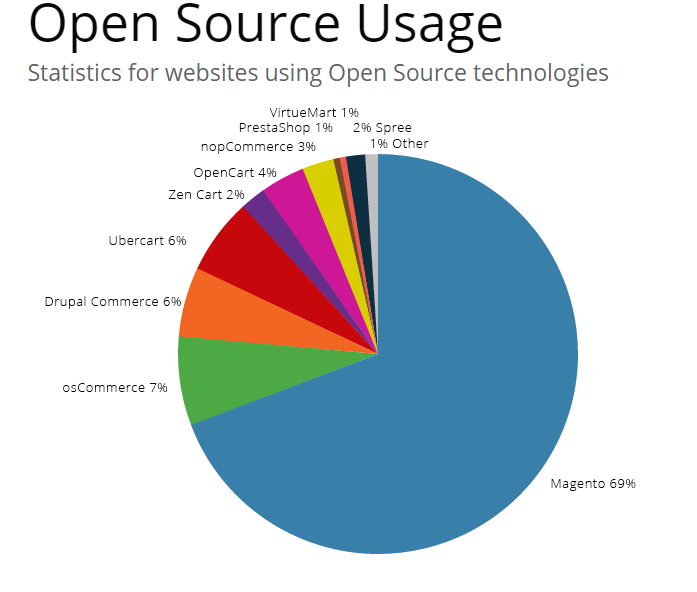 No secret here - Magento - the platform used by 69% of open source admirers, according to BuiltWith. Migrating data to Magento is basically what Cart2Cart does half of the time, despite the other 65+ supported carts. As the experience shows, our clients are most likely to perform such transfers: Magento to Magento (upgrade); WooCommerce to Magento; OpenCart to Magento. 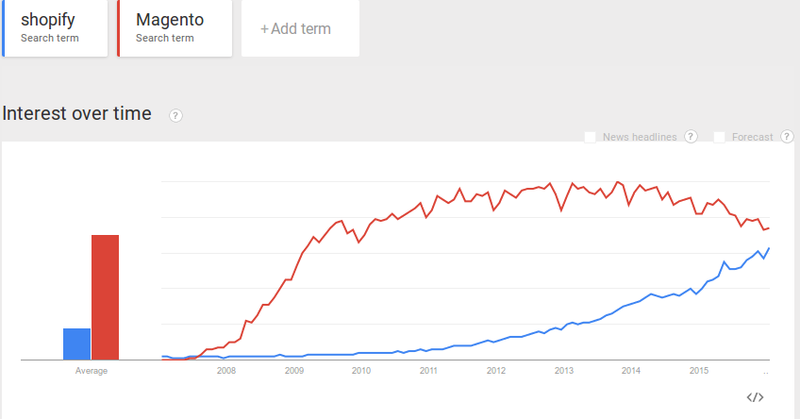 The thing to understand - Magento is more than just a shopping cart. It’s an e-Commerce cult. People take classes on its management and development, merchants attend “Meet Magento” presentations in different parts of the world, like they’re rock concerts (I might be exaggerating). Each new platform’s version causes a splash when it’s released, whipping store owners into an updating frenzy. In January, for example, over 100 people upgraded their stores to Magento 2 - the newest and most promising Magento build. If you want to follow their steps, by the way, - we will gladly help. Such vast following is generated due to the powerful features the cart provides, unlimited customization possibilities, internationalization options and, most of all, because it is truly exciting to be a member of Magento community. The platform is confidently taking a #1 place on the open source market, and, evidently, isn’t planning to give up its crown any time soon. e-Commerce plugins - are they a threat to open source carts? Very much so. 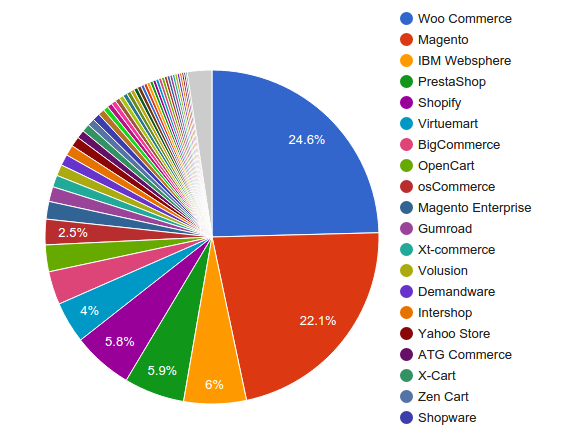 As the Datanyze diagram reveals, WooCommerce, the WordPress extension currently takes even larger market share than Magento. The only difference between extensions and regular open source platforms is that plugins aren’t independent, they can only be added to an existing website. Also, according to some experts, they’re not suited for large businesses, due to limited functionality. WooComemrce has proved its strength within our service as well - in May 2015 Cart2Cart held 1% migrations more to WooCommerce than to Magento. Actually, that happened in June and July too, so as you can see - the rivalry is heating up. What about hosted platforms then? Shopify’s appeal lies in its management simplicity - the cart’s considered “best choice for new merchants” by many prominent experts - high performance speed, and reliable free support. It’s diversified features, i.e point-of-sale support, option to sell directly through social media, great SEO tools and convenient pricing system help it stand out from other hosted platforms. 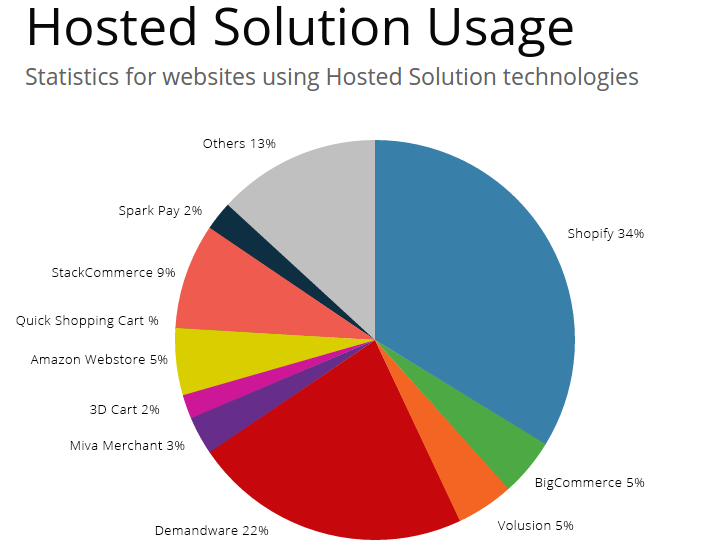 Currently, 34% of hosted cart users run their stores on Shopify, leaving its main competitors DemandWare and Bigcommerce behind, with 22% and 7% of market share. So, why are open source carts more popular? Limits - no matter how much functionality does a hosted cart provide initially, with growth, you’ll need more. If that happens, upgrade is the only choice, and that means a bigger monthly fee. Open source platforms, on the other hand, won’t tax or restrain your business expansion in any way. Design - Many hosted carts provide a decent choice of design templates. Shopify, for example, stands out particularly in that regard - it offers plenty of free and paid themes that are all stylish, beautiful and customizable. Nonetheless, the rich choice is still limited. If you’re obsessed with being one of kind, which most of us are, open source carts will bring you more possibilities to stand out. Price - Most hosted solutions require a monthly fee. It’s usually not substantial, but any obligatory payments can make you anxious in the beginning, when you’re not sure the business is going to work. Conversely, most open source carts are free to download and install. Hosted and self hosted carts might be compared, I guess, to TV and Netflix. When watching CBS for instance - your choice is limited - see movies and shows it’s broadcasting, switch the channel or turn off the TV. With Netflix, on the other hand, you pick which shows to see and when to see them. If you get bored - select a movie, a stand up special or a documentary - there is always an array of options available. Okay, maybe we’ve got too deep into this analogy, but you get the point - open source carts win because they provide an ultimate freedom of choice. So, who do you think the future belongs to - open source or hosted platforms? Share your opinion with us. 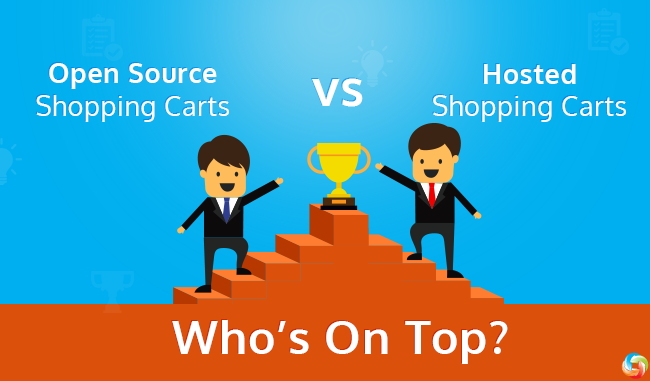 2 thoughts on "Open Source Shopping Carts vs Hosted Ones - Who’s On Top?" Glad to know you appreciate our writings so much. Thank you for such positive feedback. Stick with us!